When you come to any large cities in China, the first impression probably is crowded always. 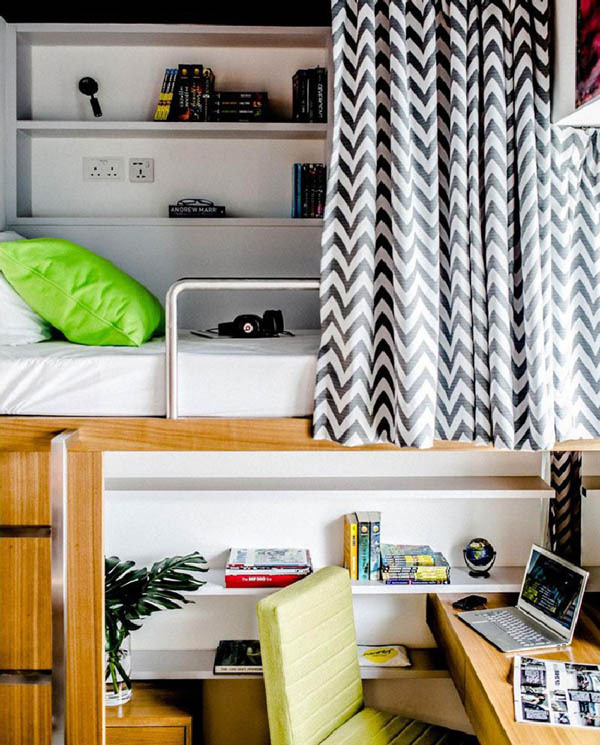 And if you ever have chance goes to the university’s dorm room in those cities, you probably will be shocked at the fact that how many students have to share a room to get the living expense down. 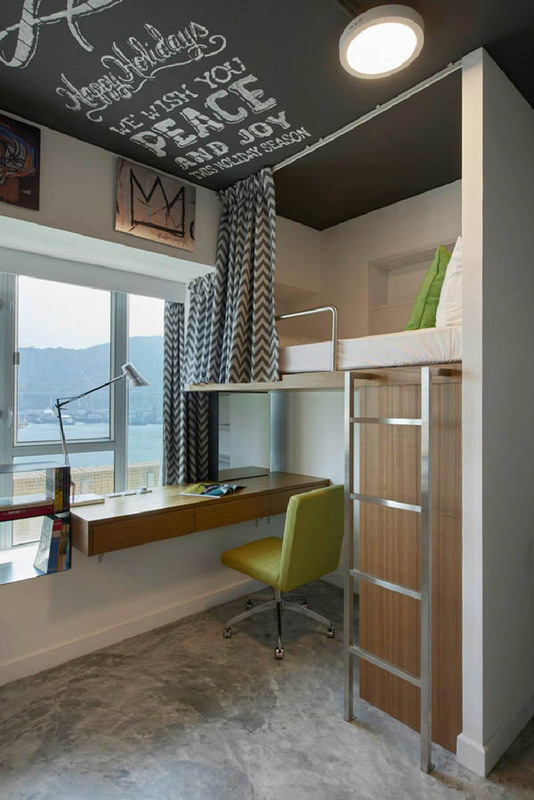 To cope with this challenge and provide better living/studying environment for students, LYCS Architecture designed Campus Hong Kong – a brand new and affordable way through renovating 48 student apartments located in an existing hotel. 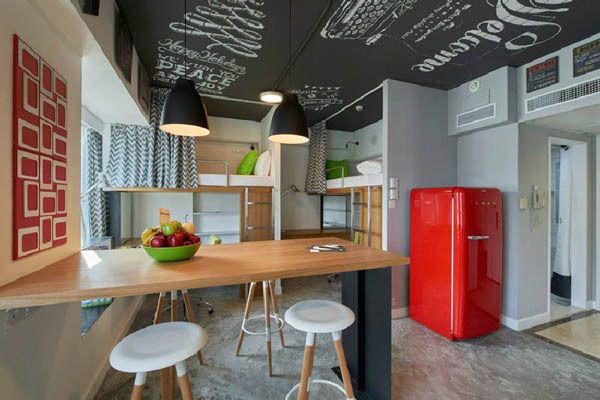 Each room has a total living area of approximately 27 square meters (290 square feet). The bed was designed to be raised and the study desk is placed underneath. 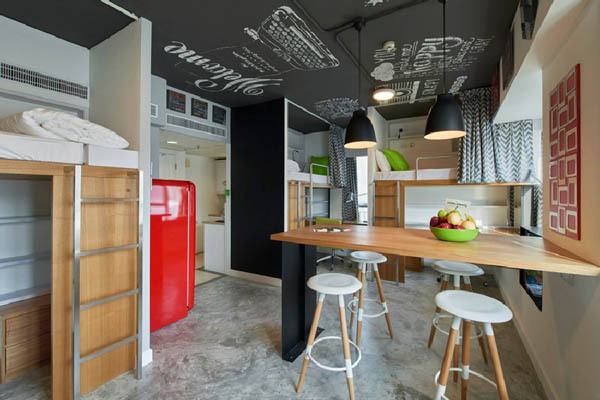 Each bed, has a steel access ladder, blackout curtain for privacy, electrical wall sockets, and a reading light. 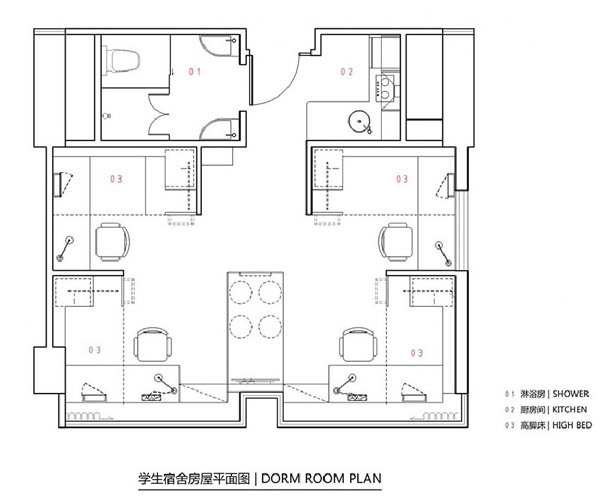 Each apartment has four of those kinds of beds, a bathroom, kitchen, and other necessary daily facilities. A central high table serves as space for studying, eating or socializing. Another worth mentioning design is its ceiling. 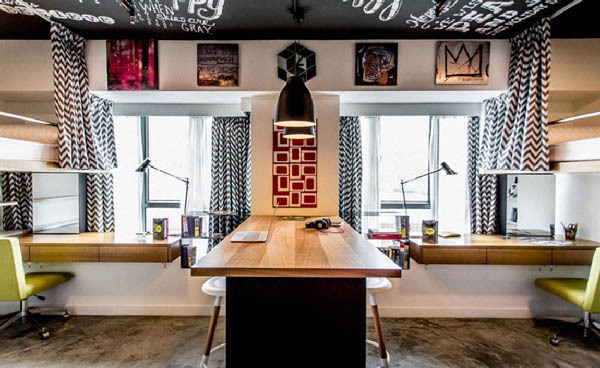 Unlike the white ceiling in usual room, the black ceiling with some inspiring words make this place full of personality.